Here are the steps to verifying your WordPress website by adding a meta tag to your home page's header. Make sure to grab the verification meta tag provided in the email from Kliken. Note: There are WordPress plugins to assist with adding meta tags onto your WordPress site. As these may be easier, please proceed with caution in the use of 3rd party plugins that you are unfamiliar with. Log into your WordPress dashboard and select Appearance -> Editor. From this view, you can access your current themes code. On the right hand side you will see all the files in your template. Find the file titled, Header or header.php. This is the only file you will need to edit in order to add meta tags. In the head tag (<head>) of the header is where you will enter the verification code provided. Once the steps above have been completed, we will automatically attempt to verify your website. 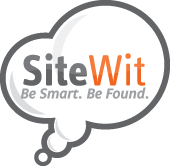 Contact support@sitewit.com if you need any help or have questions about the process.